WASHINGTON — The U.S. military says it has started pulling equipment, but not troops, out of Syria as a first step in meeting President Donald Trump's demand for a complete military withdrawal. The U.S. military has a limited network of bases inside Syria. Troops work mostly out of small camps in remote parts of the country's northeast. Also, U.S. troops are among 200 to 300 coalition troops at a garrison in southern Syria known as al-Tanf, where they train and accompany local Syrian opposition forces on patrols to counter the IS group. Al-Tanf is on a vital road linking Iranian-backed forces from Tehran all the way to southern Lebanon — and Israel's doorstep. 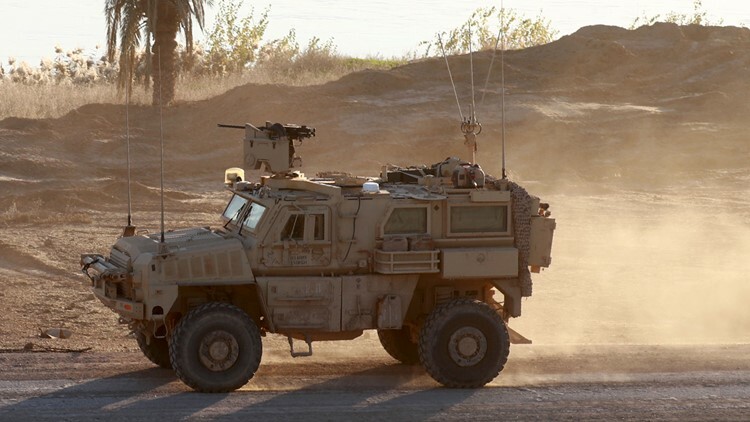 The U.S. military command in Baghdad, which is managing the counter-IS campaign in Iraq and Syria, said Friday that it "has begun the process of our deliberate withdrawal from Syria," adding that, for security reasons, it would not reveal timetables, locations or troop movements. Other U.S. officials later made clear that the pullout did not yet include troops. Another complication is the fate of hundreds of foreign IS fighters being held in Syria. The U.S. doesn't want these prisoners to be released once U.S. forces are gone, since they could rejoin the militant cause in Syria or elsewhere. Earlier this week, Trump's national security adviser, John Bolton, said American troops will not leave northeastern Syria until the IS group is defeated and American-allied Kurdish fighters are protected, signaling a slowdown in Trump's initial order for a rapid withdrawal.